What is all this talk about EMV and Credit Cards? You’ve probably heard about new changes to the processing industry by now, called EMV. EMV is the global standard for processing a credit card and stands for Europay, Mastercard, and Visa, but more importantly, EMV is just a more secure method of processing a credit card payment through a credit card reader. Each credit card will have an embedded microchip. These chips will hold all of the card holder information and act as a mini computer. The EMV cards are inserted into a slot instead of swiping through a magnetic card reader. making it extremely difficult to duplicate. The card and the reader securely transfer information back and forth to the card issuer during the sales process which will help increase security and reduce fraud. 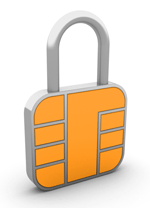 EMV is also known as chip and PIN and chip and signature. Due to increasing fraud over the past 2 decades, card associations in the US have mandated that EMV be adopted in the US. What EMV does is make it extremely difficult for a retail business to accept a forged credit card. Some business types, such as gas stations and other unattended products, are more likely to be victims of accepting forged credit cards, but fraud is a problem that affects every business and EMV will go a long way to reducing these types of fraud. For online and businesses that accept transactions primarily over the phone, EMV will have very little effect in the short term. However, it is anticipated that in the future, EMV technology will be incorporated to on-line or card not present processing. The bottom line is the more businesses that switch to EMV and the more card holders who have EMV cards, the less likely it will be for any card to be illegally copied. It is very easy to duplicate a payment card with a magnetic stripe but extremely difficult, on the verve of impossible, to duplicate a chip embedded card. The migration to EMV cards is geared specifically towards decreasing chargebacks and fraud in the United States. On October of 2015, a liability shift will occur, specifically with respect to fraudulent transactions on cards that have been illegally copied. As of now, when a merchant swipes a card which later turns out to have been illegally forged, the bank that issued the card is responsible for reimbursing the card holder for any fraudulent charges to their account. In October, this will change, and a merchant will assume liability if they do not accept EMV transactions. In the interim, US credit cards will be issued with both the chip embedded and the magnetic stripe until EMV or an alternative is created for card not present transactions, and the majority of merchants have adopted EMV. Am I required to buy a new EMV terminal? At this time you are not required to support the new EMV technology. But bear in mind that you will be the weakest link in the credit card payment flow and will be increasingly more susceptible to credit card fraud. As the US migrates to this new technology, criminals will inherently target the systems with the most vulnerable security. It is estimated that by October of 2015 70% of all cards will have been replaced with chip enabled cards, and it’s already being reported that fraud is on the rise ahead of US EMV implementation. Many terminals deployed in the past five years are already chip capable and may only need to be reprogrammed, so not all merchants will need to upgrade their processing equipment. As of now, most point of sale systems are not EMV ready. What if I don’t upgrade my equipment? Normally, a card issuer is liable for fraudulent transactions resulting from forged or copied credit cards. After October, 1st 2015 merchants not compliant with the EMV chip card technology will assume this liability. What are my options for accepting EMV cards? To find out if your credit card terminal is EMV compatible, check with one of the Merchant Equipment Store experts (888) 528.0058 or contact your current processor. The Merchant Equipment Store carries several different terminals and Point of Sales systems that are EMV compatible. We recommend the VeriFone VX520 EMV, the FD130, and the First Data Clover POS system . The VeriFone VX520 with EMV capability retails for under $200, The First Data only FD130 retails for around $330 and includes a contactless reader for Apple Pay and other NFC mobile payments. The Clover POS system starts at $1,100 or $49.95 per month to lease.